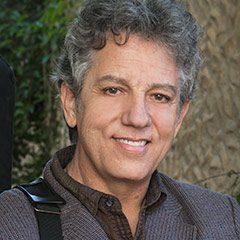 Frank Potenza is an active educator, composer, arranger, and performer with nine solo albums to his credit. Capri recording artist Frank Potenza is a protégé of the legendary jazz guitarist Joe Pass. He was born in Providence, Rhode Island and has lived in Los Angeles since 1980. Frank holds a Bachelors degree from Boston’s Berklee College of Music and a Masters degree from California State University at Los Angeles. He is an active educator, composer, arranger, and performer with nine solo albums to his credit. In addition to his extensive solo and freelance recording careers, he has performed in concert with Dizzy Gillespie, Joe Pass, George Van Eps, Mundell Lowe, Joe Diorio, John Clayton, Bud Shank, Mose Allison, James Moody, Harry “Sweets” Edison, Rob McConnell, Brother Jack McDuff, Jimmy Smith, Joe Sample, Rob McConnell, Ronnie Laws, Conti Candoli, Buddy Collette, Andy Simpkins, Ernie Andrews, Eddie Harris, Dr. Lonnie Smith, and many other jazz luminaries. From 1996 through 1999 Frank toured as a member of the Gene Harris Quartet, performing with the Grammy award-winning pianist at jazz festivals such as the Fujitsu Concord Jazz Festival and jazz clubs such as the Blue Note in New York, Jazz Showcase in Chicago, and Jazz Alley in Seattle. He is a featured soloist on Alley Cats, Harris’ final recording for Concord Records. Frank has performed with his own groups at local venues such as the Orange County Performing Arts Center, KSDS Live in San Diego, the Cerritos Center for the Performing Arts, and Catalina Bar & Grill. He tours in support of his current Capri Records Ltd release entitled For Joe, which is a tribute to his mentor and main influence, Joe Pass. His previous release on Capri is entitled Old, New, Borrowed & Blue. Earlier releases on Azica Records were First Takes, a duo project with pianist Shelly Berg and The Legacy, which is dedicated to the memory of the late pianist, Gene Harris. It features pianist Larry Fuller (formerly of the Ray Brown Trio and with John Pizzarelli), bassist Luther Hughes and drummer Paul Kreibich, both former members of the Gene Harris Quartet. Frank is the author of several texts for the USC Thornton Guitar Instructional Series, which is published by Mel Bay Publications, the world’s largest publisher of guitar materials. He is also a Charter Member of the Jazz Education Network. In April of 2017, Potenza was inducted into the Rhode Island Music Hall of Fame.